Non-Fiction #17 - Can Art Save Iran? 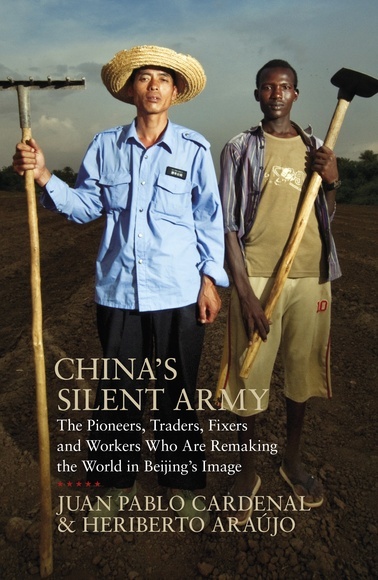 China’s Silent Army: The Pioneers, Traders, Fixers And Workers Who Are Remaking The World In Beijing’s Image, Juan Pablo Caedenal & Heriberto Araújo, Allen Lane, £25.00. More than a sporting event, the opening ceremony of the Beijing Olympic Games in 2008 marked the beginning of a new era for China on a global scale. In the wake of this coming out party, journalists Juan Pablo Cardenal and Heriberto Araújo set off on a journey to investigate China’s economic activity in the developing world. They tracked China’s presence in untapped markets – from the extraction of raw materials in Russia’s taiga and Burma’s jade mines, to gigantic construction projects in some of Africa’s most turbulent states. While the rest of the world suffered the economic consequences of the financial collapse, Beijing’s intervention in the financial system allowed China to sidestep the recession. The Asian giant is buying debt, giving out loans, investing and acquiring assets globally. But economic success has a cost – Chinese banks are financed by the deposits of millions of Chinese savers receiving negative returns, combined with strict controls on capital outflow. China’s steady expansion is indeed led by a “silent army” of millions of anonymous citizens “with a limitless capacity for self-sacrifice”. Through countless stories of ordinary Chinese emigrants working in the developing world for minimal salaries, without job security, contracts or medical insurance, in China’s Silent Army the authors provide readers with a first-hand, detailed and vivid account of China’s global reach.